At Bishop Hannington Church, Holmes Avenue, Hove, BN3 7NH. Bernardi Music Group, with special guest Jill Kemp recorders. Music by Vivaldi, Bach, Schubert, and Cant. Tickets in advance from Brown Paper Tickets. Performed by Michala Petri (recorders) and Lars Hannibal (guitar) on 21st April 2018. Jacob van Eyck 2 Variations for Descant recorder solo. Performed by Alexei Sarkissov cello, and Evgenia Startseva at the Music and Wine series of concerts at St. Luke’s Church Brighton on 22nd September 2017. Mosaics for Piano Quartet performed by the Bernardi Music Group, leader Andrew Bernardi at the concert at Warnham Park on June 4th 2017. Piano recital given by Stephanie Cant in memory of Frances Hamblin on Saturday April 22nd 2017. Featuring a selection of the music I often played for Frances at Cottage Grove. J S BACH Preludes in C and G major WTC Bk 1, Prelude and Fugue in D minor WTC Bk 2, Sarabande and Gigue from French Suite in G major. CHOPIN Waltz in Ab major Op 72 No 1, Waltz C sharp minor Op 64 No 1, Fantasie Impromptu, Waltz in A minor Op 34, Waltz E minor Op posth, Prelude in B minor Op 28, Etude in Ab major Op 25 No 1, Etude in F minor Op 25 No 2, Etude in C minor Op 10 No 12. 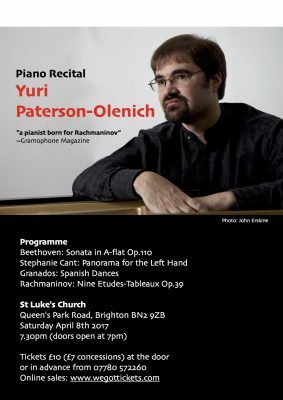 Yuri played Panorama for LH at two concerts in Sussex, the first at a lunchtime concert at Hasting Museum on April 4th 2017 and the second at an evening concert at St Luke’s Church Brighton on April 8th 2017. The title Panorama comes from two sources. First of all, the initial musical ideas and the opening of the work were composed whilst I was on holiday in the Vosges Mountains, Alsace, France in a hotel called Panorama because of the wonderful views from its rooms. Secondly, when I began serious work on the score sometime later, my aim became to somehow explore the whole ‘panorama’ of the keyboard. The work has two musical themes, introduced in succession at the start of the piece. The first is lilting and lyrical, the second more angular and staccato. From the outset they interrupt each other’s progress, the second, more angular theme inhabiting a lower register than the opening lyrical melody. Subsequently they interweave – the one taking musical characteristics and keyboard territory from the other, leading eventually to a dramatic resolution. The work was composed for Yuri. Performed on March 3rd 2017, the programme included music by Vivaldi, Mozart, Schubert, Telemann and the first performance of Angelic Imagination by Stephanie Cant. 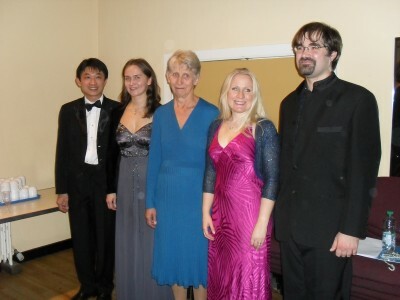 Performed by The Bernardi Music Group, leader Andrew Bernardi, with Jill Kemp (recorders) Evgenia Startseva (piano) and Joanna Tomlinson (soprano). Piano recital given by Stephanie Cant at the Jarvis Music Room on 25th May 2016. Chopin Waltz in A minor Op 34 No 1, Waltz in E minor Op posth., Waltz in Ab Major Op 69 No 1, Etude in C minor Op 10 No 12 (Revolutionary). Performance by the Hyvinkää Light Orchestra on 18th May 2016 at Hyvinkää Town Hall with the solo bass clarinet performed by Lauri Vaahtoranta. ‘An Audience with Hilaire Belloc in Words, Song and Music’ on 1st May 2016 in Shipley Church. The programme included Shipley 2016 commission ‘Goodwood by the Sea,’by Roderick Williams, past Shipley Arts commission Cecilia McDowall’s ‘Great Hills,’ J.S.Bach’s Brandenburgh Concerto no.4, Stephanie Cant’s ‘Wedding Songs’ performed by the composer, and Belloc’s poems and readings recited by actor David Stephens in a theatrical interpretation directed by Ann Feloy. The Cobweb Orchestra played some of this piece, originally for string Octet, in a special arrangement for large orchestra, during their Easter Residential at Sedbergh School in April 2016. 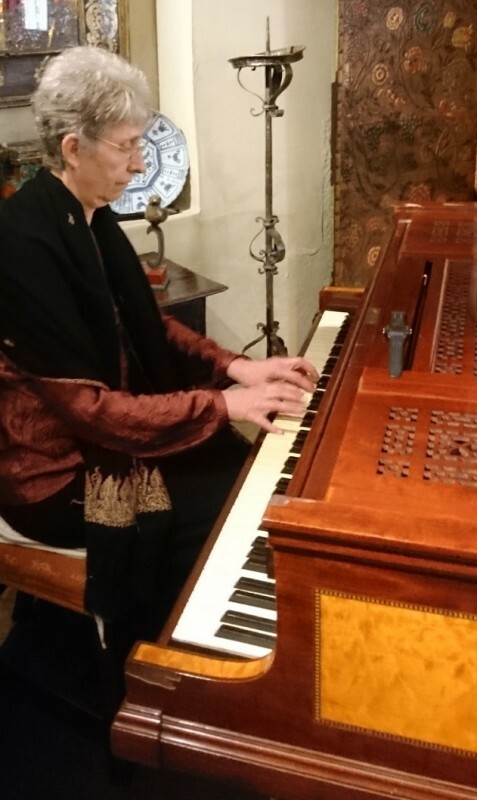 Stephanie Cant played the 1902 Broadwood piano in the house at Nymans Gardens during the house opening hours (11.00am – 4.00pm) on 6th March 2016. 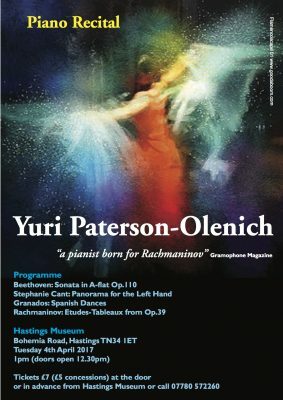 Winter Song (1993) performed by the composer on 13th December 2015 in Richmond. Performance of Machines from After the Tide Turned on 2nd August 2015. Watching the film of Italian scenes, showing alongside the performance. Performing Italian Serenade, with the film showing in the distance. 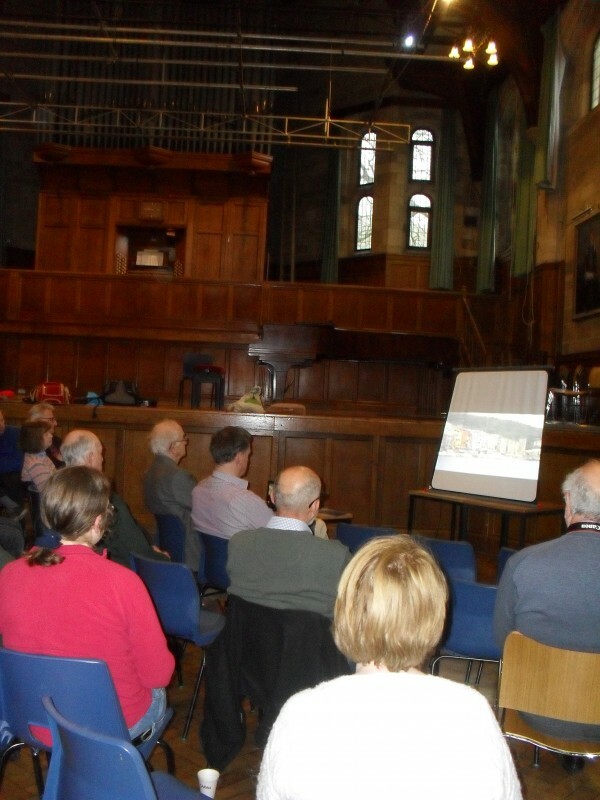 By Caroline Collingridge, flute and Stephanie Cant, piano, on 18th February 2015. 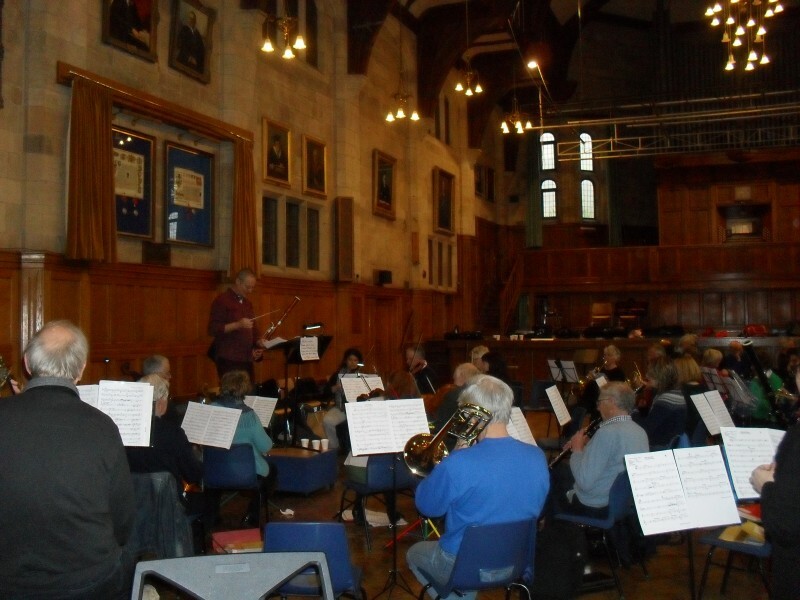 By Caroline Collingridge, flute and Stephanie Cant, piano, on 10th February 2015. 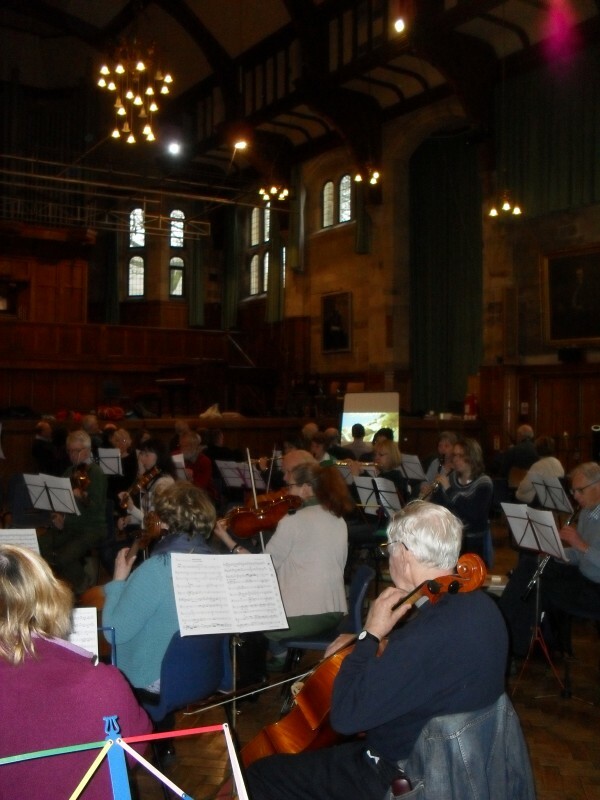 ‘Landscapes and Seascapes – a celebration of the music of Stephanie Cant’ took place on 25th October 2014. A pre-concert talk was given by Stephanie Cant, which included a performance by her of Wedding Songs (1993) by way of an introduction to her subsequent compositions in the main concert. The rest of the music in the programme, by Bach, Schubert, Chopin and Rachmaninov, was chosen to reflect some of the influences there have been on Stephanie’s approach to composing for the piano. Following the concert, a lively reception ensued at which all the performers and the composer mingled with the audience and compared notes. Piano recital at Jarvis Music Room on 28th May 2014. Programme included Stephanie Cant Wedding Songs 1993 and works by Haydn, Schumann, Chopin and Barry Mills. Piano recital on April 2nd 2013. Programme included Stephanie Cant Wedding Songs 1993 and works by Haydn, Schumann, Chopin and Barry Mills. Performance at Saville Exchange, North Shields, Tyne and Wear on March 1st 2013. Programme included Stephanie Cant Wedding Songs 1993, extracts from Seven Miniatures based on Turning the Tide(2007) and works by Haydn, Schumann, Chopin and Barry Mills.